**Update** July 31, 2013. A friend of the shop went to look at this camper over the weekend. The c/o has not had it on the road yet. Although it does crank and run it has a fair amount of rust at the body seams and around the power and water pickups. Be sure to make a good inspection of this one if interested. 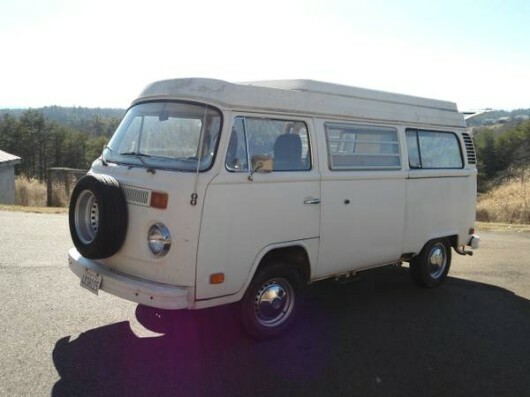 Here’s an ’84 Westy that may have some potential. The body looks straight and the cabinets and canvas top look clean. 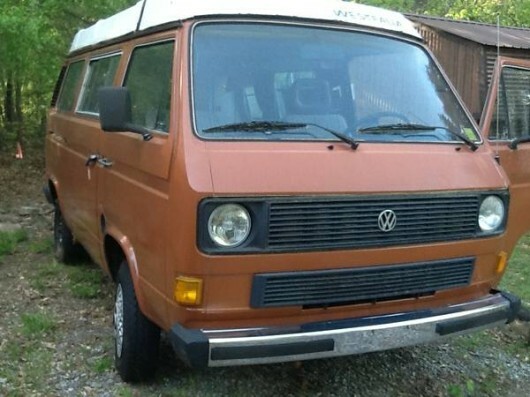 Its an automatic which isn’t ideal for these busses but for $2800 it may be worth overlooking. Find this one in Bishop, GA.